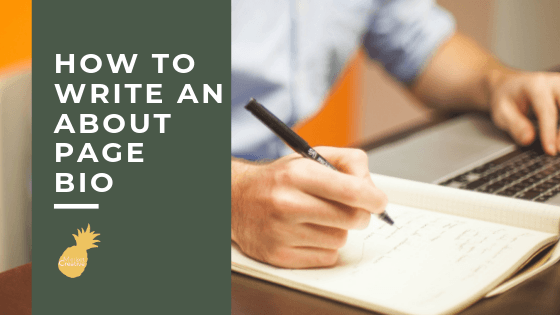 So, you need to write a bio for your about page? Maybe you’ve got a brand new website? Or maybe you’re just revising your site, and you know your bio needs a refresh. Whatever the reason, writing a bio can feel overwhelming. Writing a bio for a website is a great opportunity for you to explain who you are while also establishing yourself as the expert in your field. An about page is actually not about you at all, but about your customers. It’s how you can help them solve their problem, whatever that problem may be! Finally, include a call to action. Don’t miss an opportunity to call your readers to do something! Now that they understand more of who you are, take this opportunity to guide them to their next step. Does your website encourage people to work with you? Include the same CTA on your about page. Make sure your bio matches your brand personality. If your bio feels inconsistent with the rest of your brand, your customers may feel an uncomfortable sense of disconnect. If your bio is on brand, you bring a sense of consistency and trust to this important page on your site! 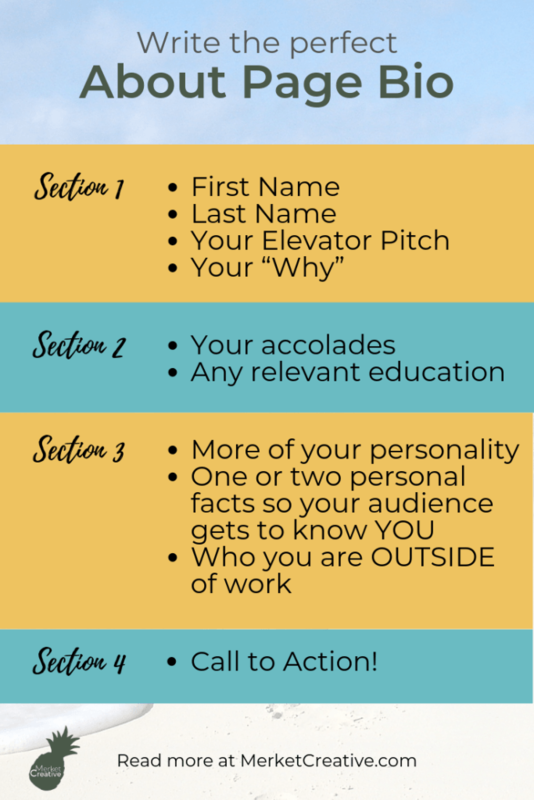 Want help writing your bio? I can do that. In fact, for the rest of the quarter, you can get a bio for only $75! Click this link to get your bio written for you!